my Ink well: Aloha Emily! This is the back of my grand niece Emily in this adorable bathing suit (Land's End) last summer. The minute I saw it, I saw a card. It only took me a year to actually make, but I was inspired by the current CCCB challenge to finally do it. I can't wait to send it to her! 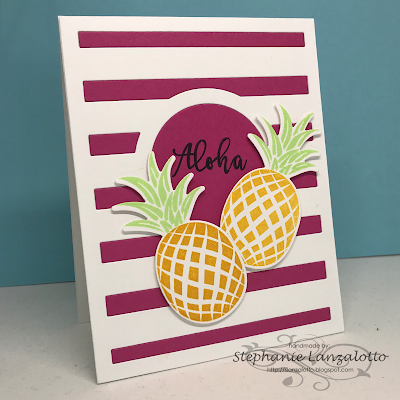 To create my card, I used Reverse Confetti's Big Stripes Cover Plate and Sugar Pea Designs Pineapple Paradise stamps. A super sweet card. 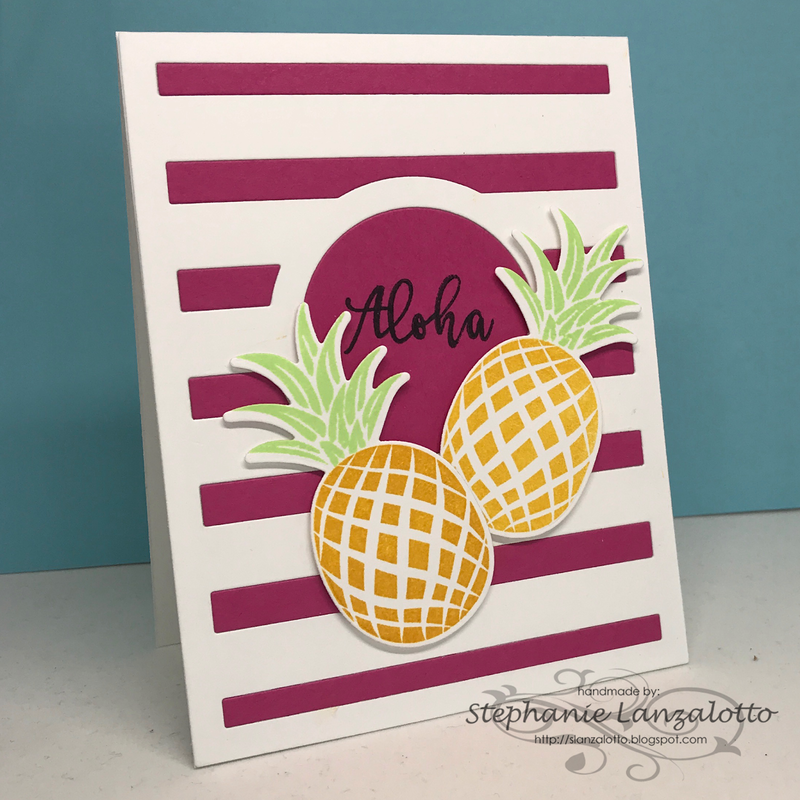 I love that striped die and the pineapples are stamped perfectly. 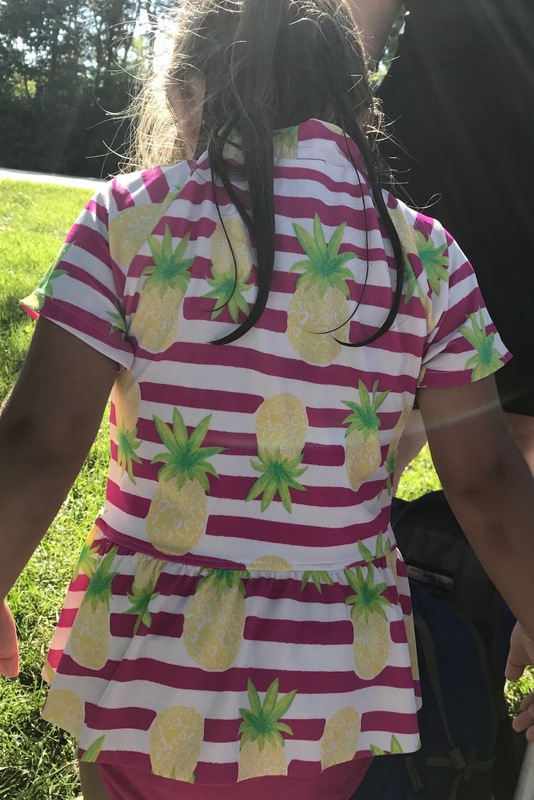 So awesome that you matched your niece's shirt! Thank you so much for joining us at Simon Says Stamp Wednesday Challenge. Good Luck! Thanks for sharing your card with us at CCCB! Congrats on being a Spotlight Artist at CCCB.